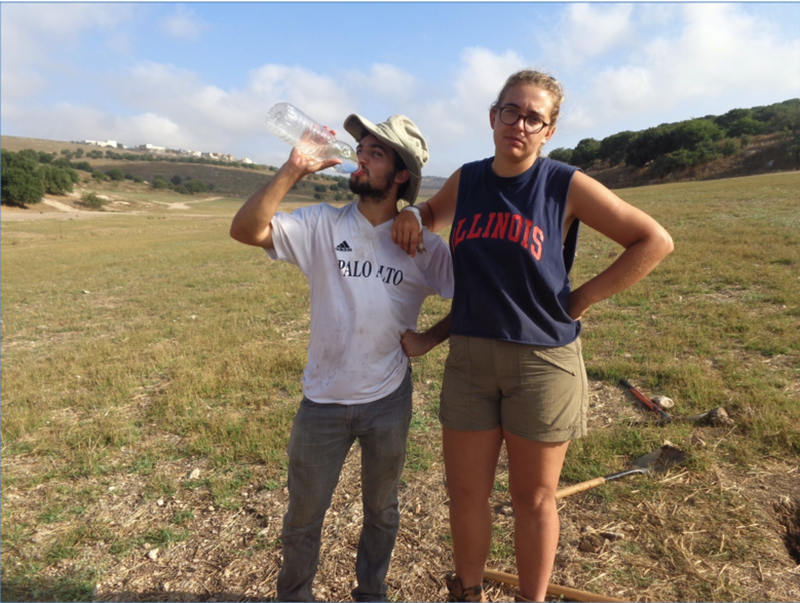 GUEST BLOG: EH leaves us for Tel Tsaf and below are her notes on GPP2015. The choice was obvious…but I opted to join the GPP survey anyway! 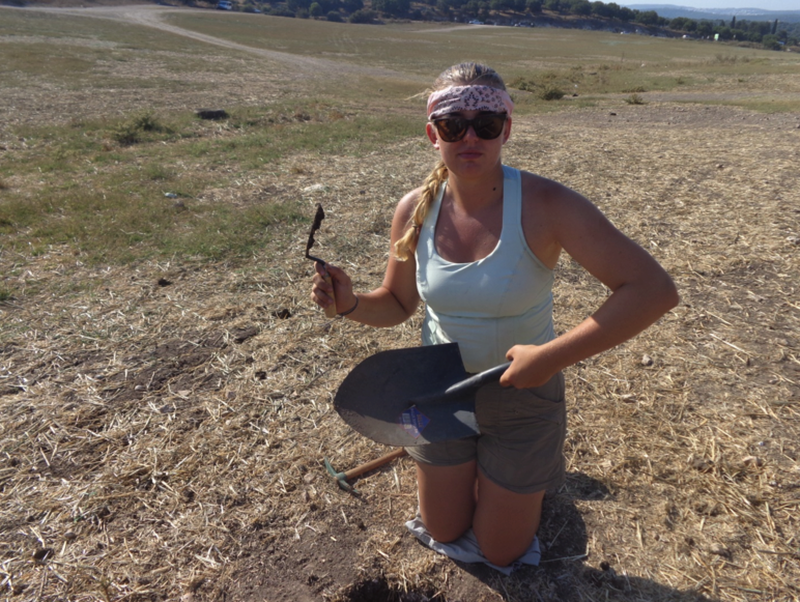 It was my first time doing field survey and test pitting, so I looked forward to learning new and exciting skills! With a great team and fabulous leadership we embarked on a truly memorable adventure. In a stroke of inspired unoriginality, I have decided to share with you some of the lessons I learned during my two week stint. 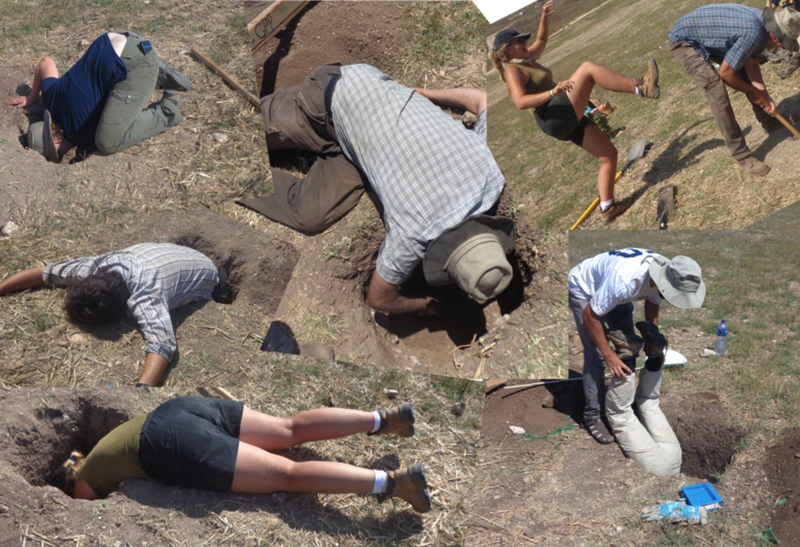 On average, 3 archaeologists can fit in a 1/2 metre2 test pit (note: small sample size suggests further research is required). 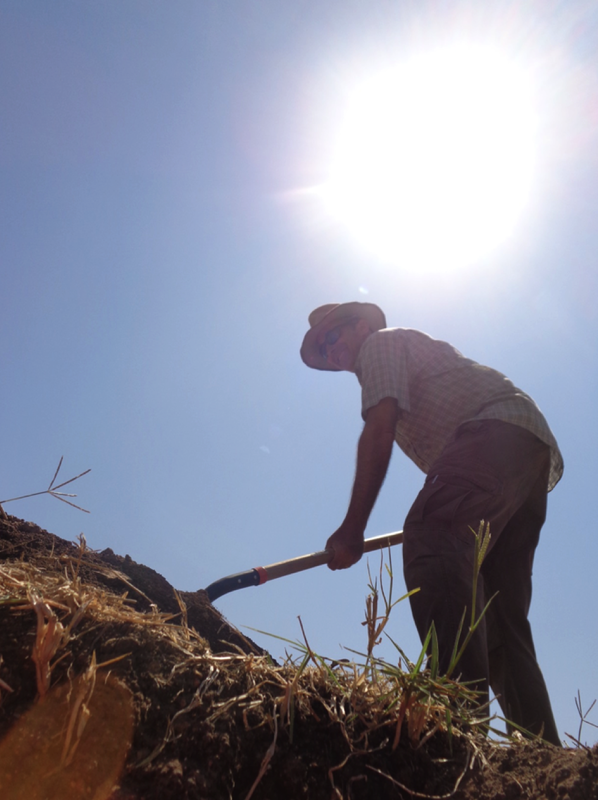 Grow your own archaeologist: dig hole, add water and voila!! 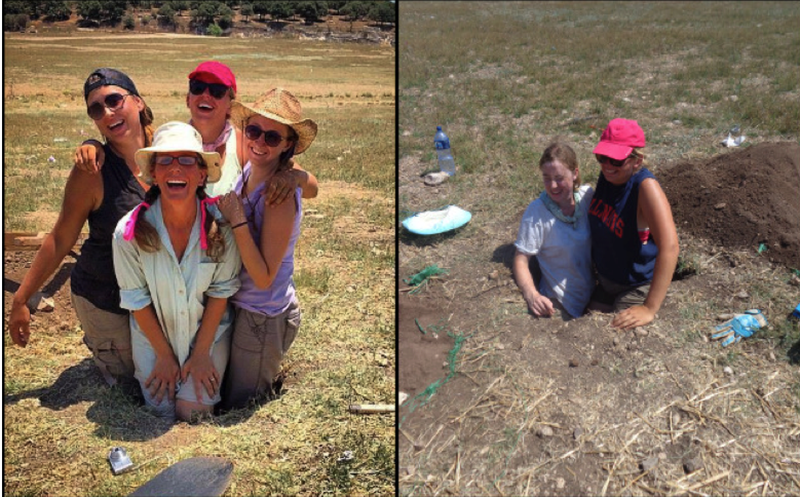 From debutant to hard-core archaeologist and raising baseball star! 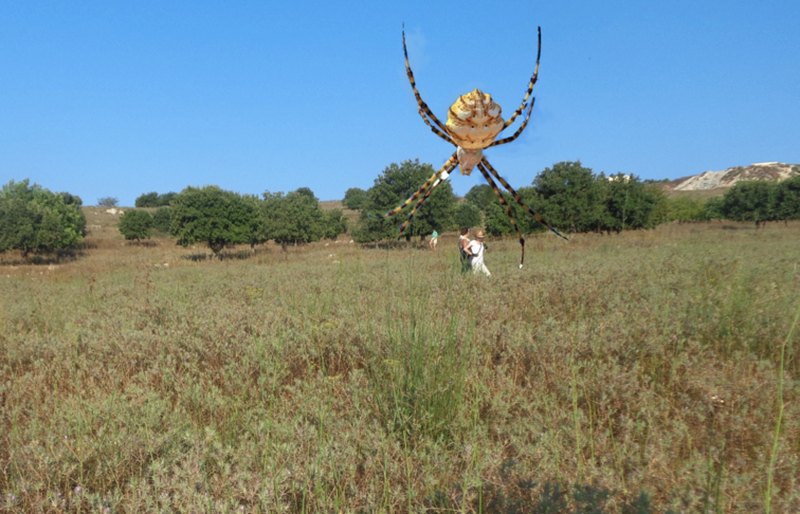 Surveying through field is preferable to surveying through thistles and spiders (this one surprised me too!). “Seriously, it was a human sized spider” said BH. 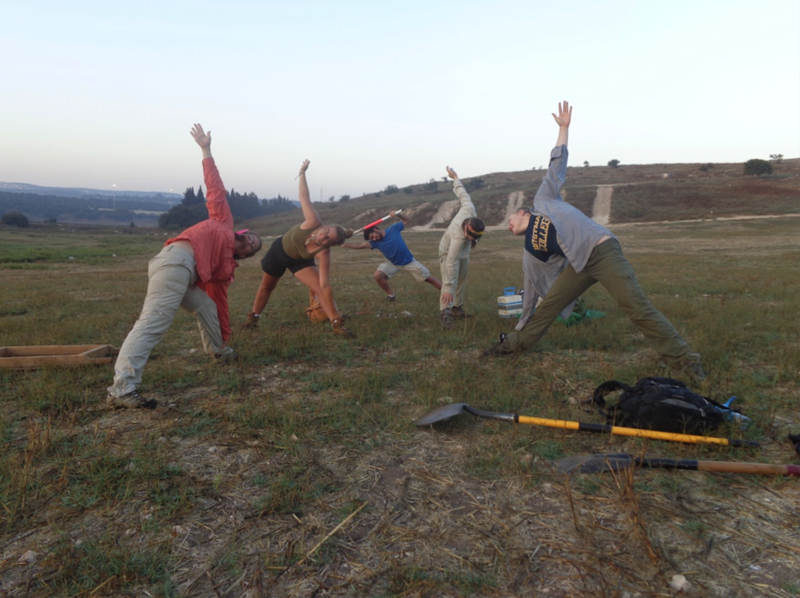 Morning yoga is essential to injury prevention. Always use the correct tools for the job. Test-pitting is all about team work. 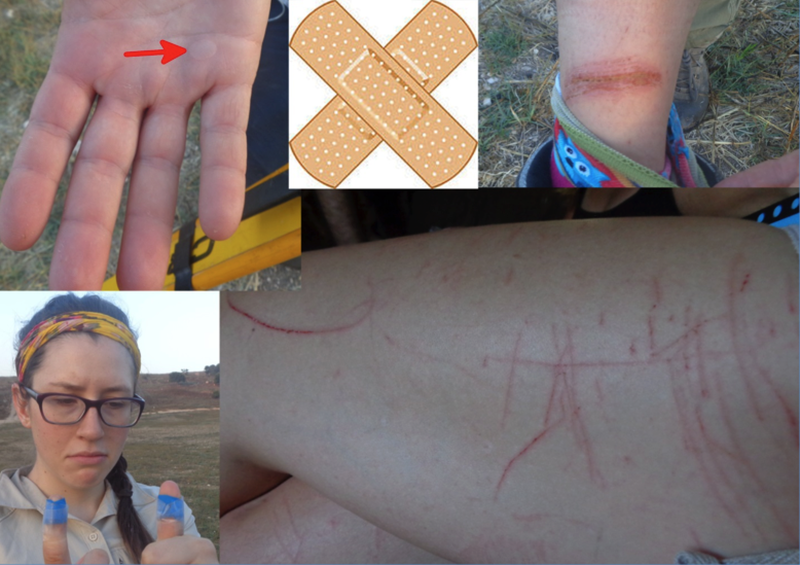 Archaeology is not for the faint of heart. 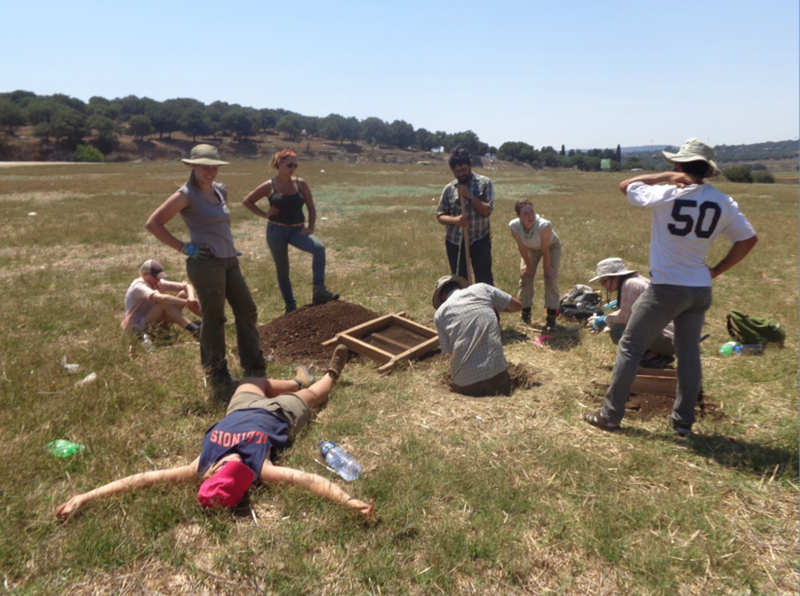 There’s no crying in archaeology! You probably need to drink more water! JB and BH demonstrate that staying hydrated is serious business. 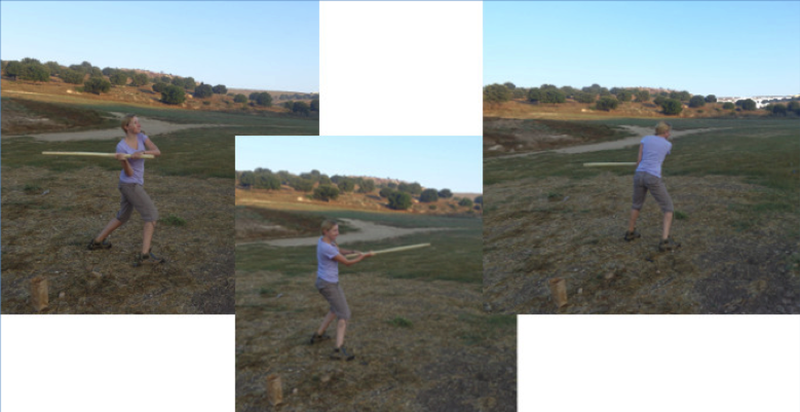 When one transect ends, another begins…. 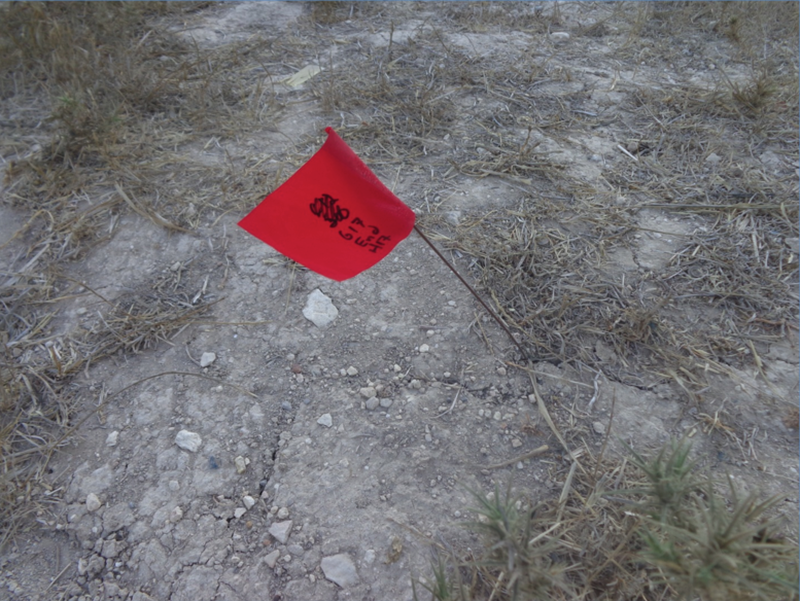 No flag, no transect. That is the rule…that we just made up…. Um, I honestly don’t know what the lesson here is……. ya, I’ve still got nothin’! Thanks to everyone for a great couple of weeks! Hope to see you next year? !